April 27: Tax Freedom Day in Wisconsin…At Last! It’s Tax Freedom Day for the Badger State, the day when hard-working Wisconsinites have finally earned enough money to cover their total tax burden for 2017, according to the Tax Foundation’s annual Tax Freedom Day initiative. That’s right – we work the first 117 days of the year to cover our tax bill. 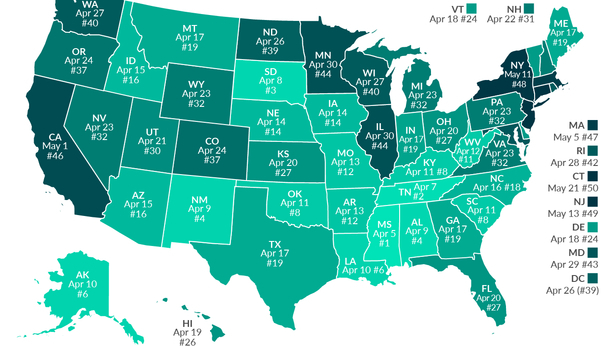 National Tax Freedom Day was April 23 – 113 days of work – but since Wisconsin taxpayers still bear a heavier-than-average tax burden compared with the country as a whole, we must toil away for four more days. Tax Freedom Day in Wisconsin ranks #40 on the Tax Foundation’s Tax Freedom Day list, meaning Wisconsinites pay off their tax bill before residents of New York, California, Minnesota, and Illinois. However, taxpayers are better off in four Midwestern states: Iowa (#14), Indiana (#19), Ohio (#27), and Michigan (#32). Wisconsin’s #40 ranking held steady from 2016 but is down from #37 in 2015. Also, in 2015 Tax Freedom Day was on April 25, two days earlier than this year. Despite efforts to reduce the tax burden in the Badger State, it seems that other states have leapfrogged Wisconsin by taking on even more dramatic tax reform. Wisconsin is the lowest-ranked state with a Republican trifecta – where the GOP controls both houses of the legislature and the governor’s mansion. While Wisconsin has enacted many much-needed tax reforms over the past 6 years that have saved Wisconsinites nearly $5 billion, there is clearly still more work to do to remain competitive nationally and keep our ranking going in the right direction – down.